Debra Harrell was trying to do the best she could. Harrell lives in North Augusta, South Carolina, and has a nine-year-old daughter. She works at McDonald’s. During that the school year, Harrell’s daughter has some place to go during the day. 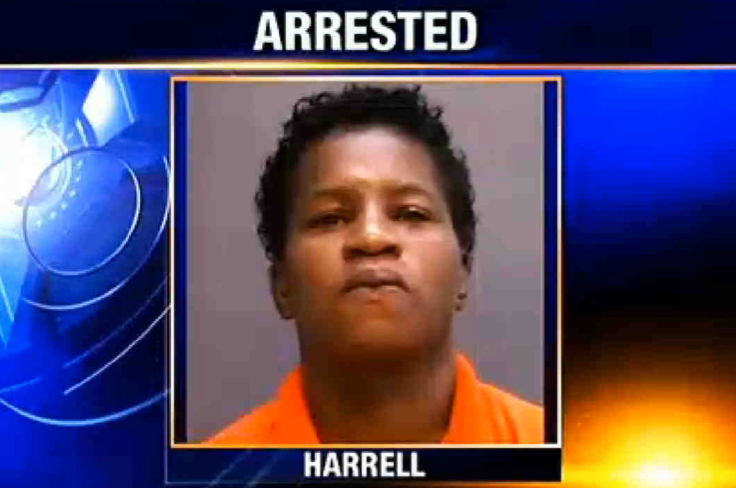 Harrell can go to work, assured that her daughter in a safe place. Bringing her daughter to work at least assured the child’s safety. But Harrell likely got the side-eye from co-workers and management; especially with her attention divided between work and her daughter. So when the child asked if she could play in a nearby park, Harrell did a quick cost-benefit analysis. Letting her daughter go to the park would relieve both the child’s boredom, and her mother’s stress over trying to work and parent at the same time. So she gave her daughter a cell phone, for use in an emergency, and sent the child to get some fresh air. It worked well, for a few days. On day three, someone asked the girl where her mother was. The child said her mother was at work. Harrell was arrested for “unlawful conduct towards a child,” and her daughter was placed in the custody of the department of social services. Harrell’s mug shot reminded me of another working mother. 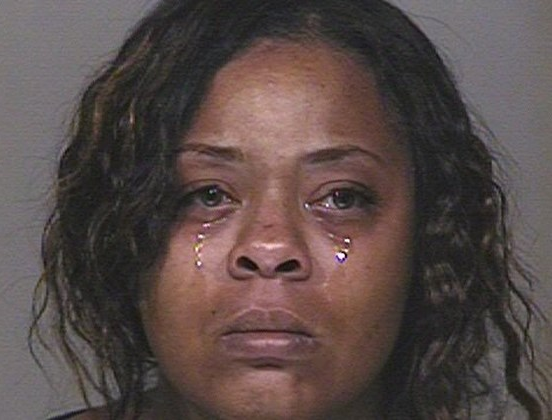 Shanesha Taylor had just moved herself and her three children into her parents’ home. She had a job interview the next morning, or an insurance agency position that paid enough to support her family and move them out of homelessness. She just needed gas money. So she her kids to bed that night, and went back out to scavenge the parking lot of a nearby Walmart for aluminum cans to recycle for cash. For people living on the economic margins, there is no margin of error. There is no wiggle room. There is no “plan B,” because there’s barely enough resources for “plan A.” If just one thing goes wrong, “plan A” crashes and burns, taking the rest of someone’s life with it. Taylor’s “plan A” fell through. The babysitter was a no-show the morning of her interview. The next closest sitter was 30 minutes in the opposite direction. Taylor didn’t have enough time or gas to make it to both the sitter’s and her interview. So, she left her children in the car during her interview She cracked the tinted windows a bit, and left the key in the ignition with the fan running, but the engine off. By the time Taylor left the interview, her children were already at a nearby hospital. Two women heard them crying and called 911. Taylor was charged with two counts felony child abuse, lost custody of her children, and had her mugshot posted all over the internet. It’s easy to argue that both Taylor and Harrell made bad choices, but neither had any good choices when it came to child care. 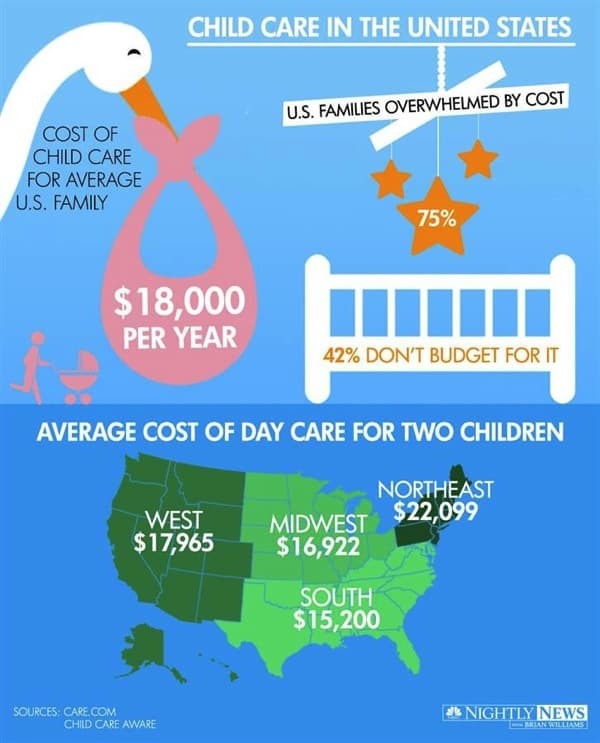 Child care is hugely expensive even for working parents in better economic positions than Taylor and Harrell. The average family pays $18,000 per year, per kid. That’s 18 percent of the family budget. By the time the kid is 18, the total is upwards of $241,080. Seventy-five percent of families are overwhelmed by the cost, and almost half are so overwhelmed that they don’t even budget for it. If this were France, for example, the government would subsidize child care with tax dollars, and set fees on a sliding scale according to income. As a result, French families spend just 10 percent of their budget on childcare. But we’re not France, and here in the states where just getting paid family leave is an uphill battle, it’s unlikely that child care will get the attention it deserves any time soon. That means we’ll probably see more mug shots of parents like Shanesha Taylor and Debra Harrell — parents whose only real crime is being too poor to afford child care, and having no good options.